Schro﻿eder Capital Management, LLC﻿, a registered investment advisor in Lafayette, California, provides investment counsel to private individuals and institutions throughout the United States. The company was established in May 2002 as the successor entity to Van Kasper Advisers, a San Francisco-based investment advisory firm and affiliate of Wells Fargo Securities, LLC. G. Frederick Schroeder, President, and Chief Investment Officer, is sole owner of Schroeder Capital Management, LLC. He is a Chartered Financial Analyst (CFA), and a Registered Investment Advisor (RIA). Professional affiliations include memberships in the Chartered Financial Analyst (CFA) Institute and the Financial Analyst Societies of San Francisco and Los Angeles. 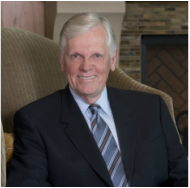 Schroeder’s investment experience spans over 30 years, during which time he conducted fundamental research, formulated investment strategy, built and managed individual client and institutional portfolios. He was formerly associated with the ITT Corporation, Transamerica, Templeton Portfolio Advisory, an affiliate of Franklin Templeton Worldwide, and Van Kasper Advisers before forming Schroeder Capital Management, LLC. The foundation of Schroeder Capital Management, LLC, is its distinctive broad-based knowledge and understanding of global markets. As Senior Portfolio Manager of Templeton Portfolio Advisory, Fred directed all the investment activities of the company’s $2 billion in assets of the Private Client Group. Today, Schroeder Capital’s clients benefit from the significant experience Fred had with the Templeton Worldwide organization, its investment research group, portfolio managers, and especially his relationship with the late Sir John Templeton, of Nassau, Bahamas, known as the “Father of International Investing.” These elements have provided Schroeder Capital Management, LLC, with a unique perspective and solid platform of knowledge of international economics, securities analysis, broad understanding of global investment strategy, and proven portfolio building disciplines used to create globally diversified, custom-tailored private accounts that meet specific client needs and investment objectives. Schroeder Capital Management, LLC, is committed to the local community. In addition to being an advisor to local government on economic development issues, Schroeder Capital Management, LLC, offers financial support for outreach programs including the local education foundation and youth sports programs, respite care for Alzheimer’s patients, and an endowment supporting disabled individuals. The company is also a sponsor of the local branch of the American Association of University Women, a national organization supporting education and community programs for women and girls.